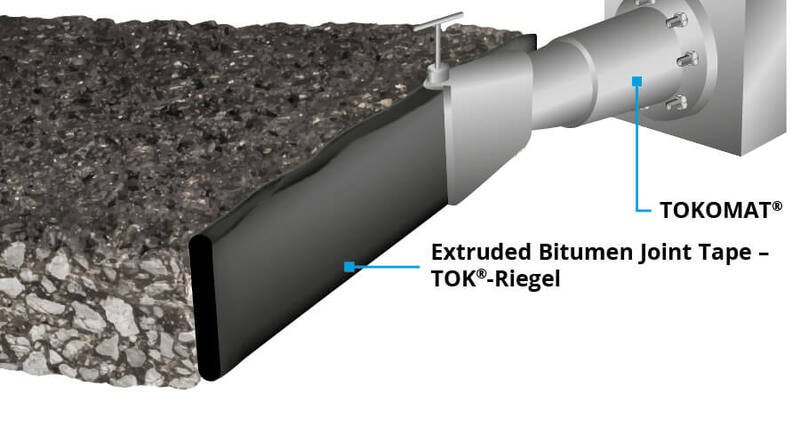 TOK® bitumen products reliably and safely seal joints and seams in asphalt and concrete. Cracks, breakouts, defects, unevenness and damage can be repaired quickly and reliably with TOK® repair mortars. All high-quality TOK®-Band bitumen joint tapes possess exceptional stretching and adhesion properties and can simply be applied cold (self-adhesive) or using a burner. 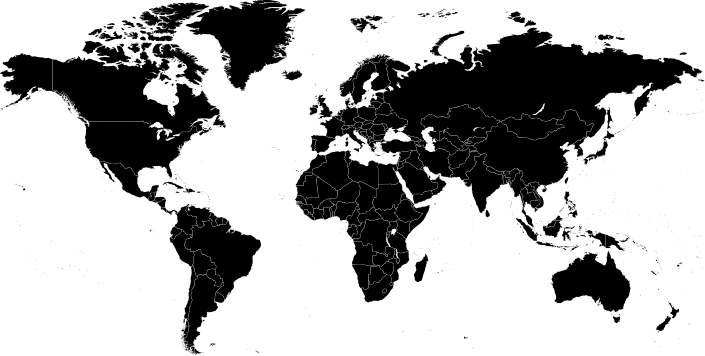 Many TOK® tapes can be used without a primer. You benefit by saving a significant amount of time and money, and avoid the complex processes involved in handling hazardous substances. 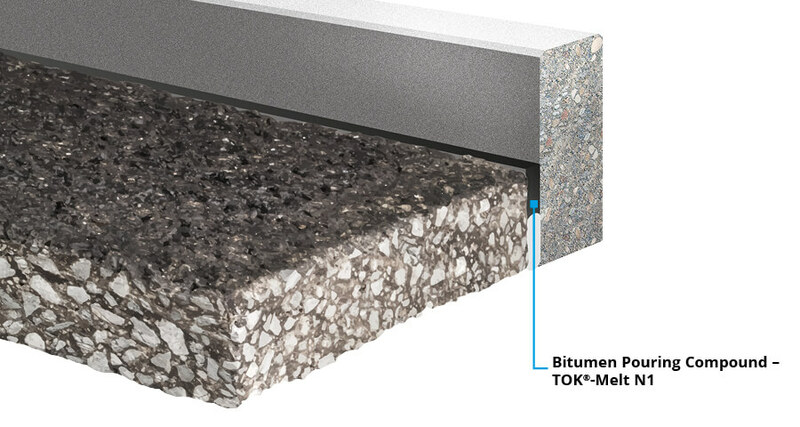 TOK®-BSW reliably seals joints in concrete protective walls. TOK®-BSW is ideal for sealing new joints and repairing existing joints. TOK®-Crete can be used in a variety of applications: This repair mortar can be used to restore concrete roads and surfaces with edge damage and corner breakage, as well as for filling holes and cracks. The repaired surfaces can be subjected to loads again after just 45 minutes. 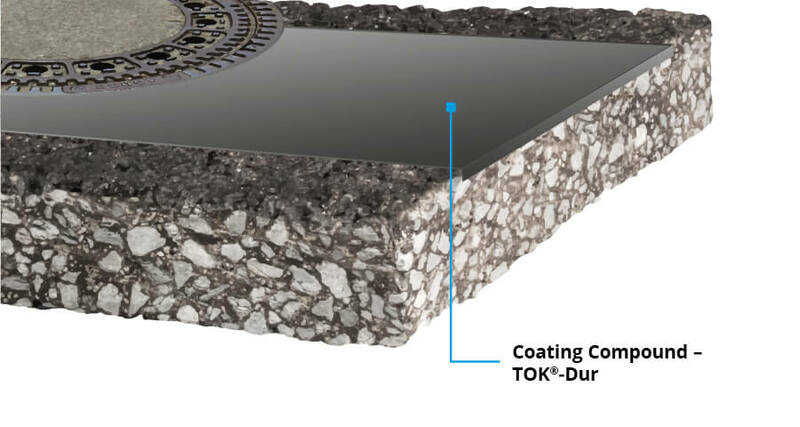 TOK®-Dur is a coating that is permanently resistant to abrasion and weather, used to fill fine cracks or smoothen out unevenness on asphalt surfaces. 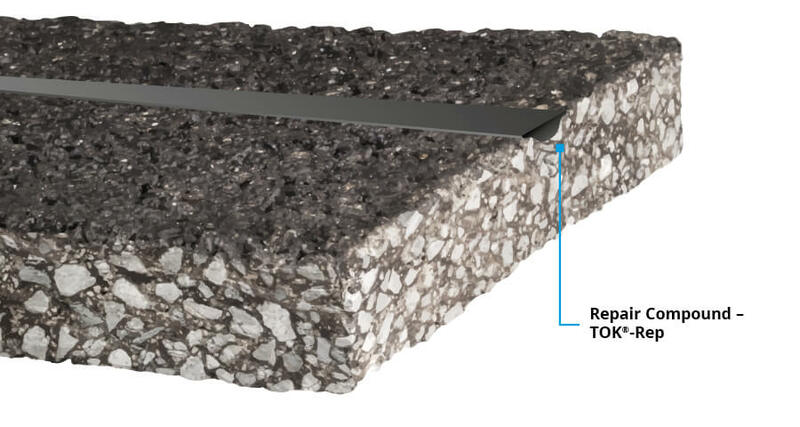 TOK®-Melt is used to seal joints between asphalt and concrete surfaces and between individual concrete sheets. It is also used as a rail pouring compound. TOK®-Melt fulfils the requirements of TL/TP Fug-StB. 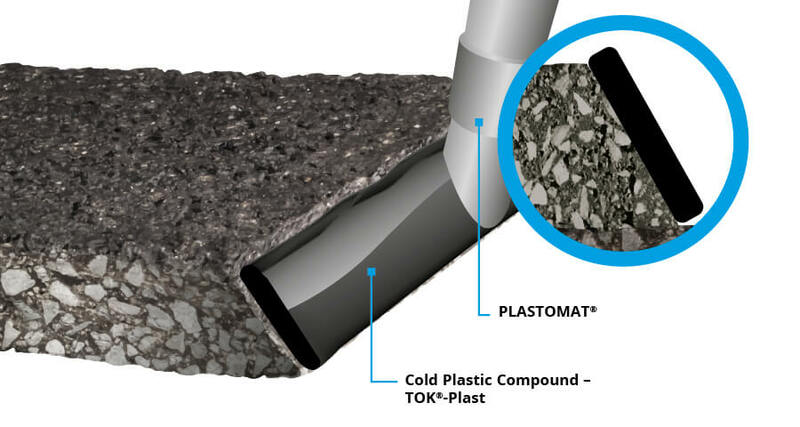 TOK®-Plast reliably and permanently joins seams in asphalt road surfaces, sealing them at the same time. TOK®-Plast can be applied manually with a brush or using the PLASTOMAT® machine. 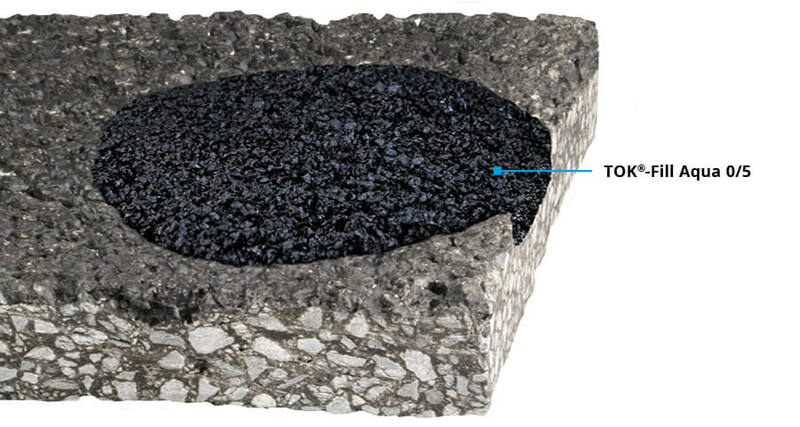 TOK®-Rep is a cold-applied repair compound that quickly and easily repairs damage to asphalt road surfaces. The product is ideal for open-porous asphalt. 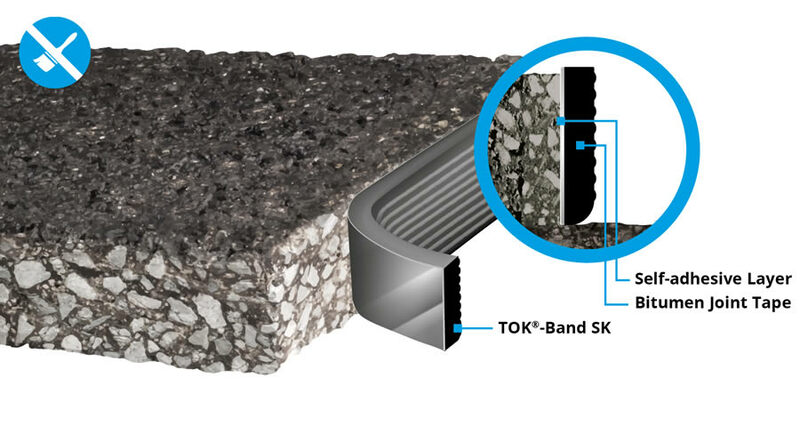 TOK®-Sil Resist creates a safe, permanent seal on horizontal and vertical joints in asphalt, concrete and steel. 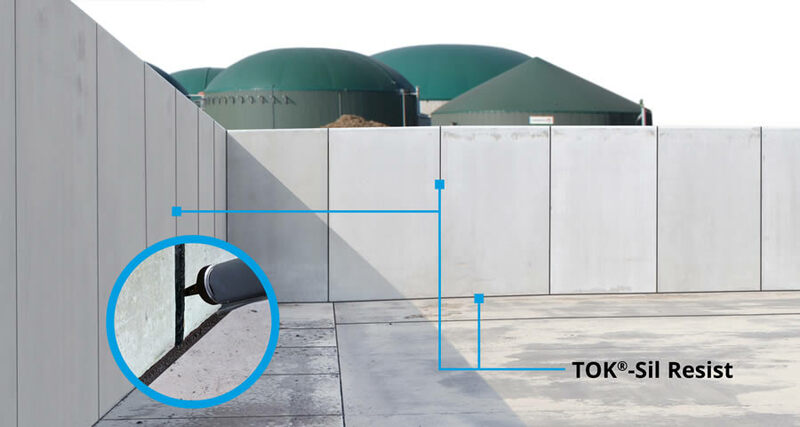 TOK®-Sil Resist also boasts long-term resistance to fermentation acids and silage effluents, making it ideal for use on new constructions and when renovating liquid manure, slurry and silage effluent plants. 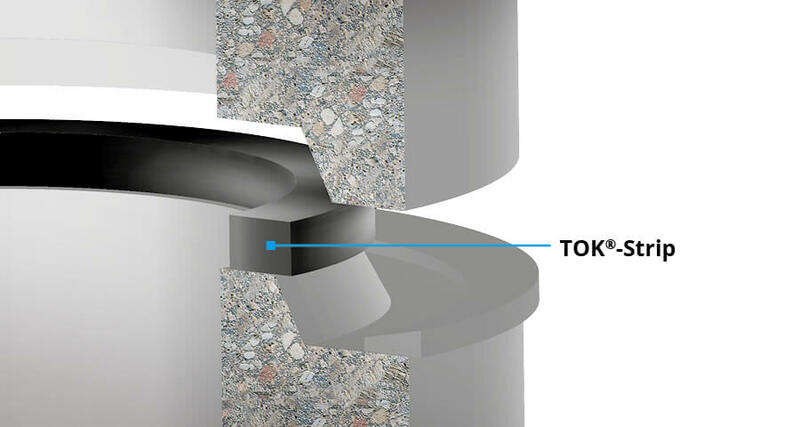 TOK®-Strip is a reliable joint seal used on connected shaft components in sewer construction and on special concrete profiles. The TOKOMAT® process uses a bitumen joint tape extruded on site to create a perfect seal, particularly on joints between new surface layers. The TOKOMAT® process is twice as fast and significantly more precise than conventional hot pouring methods (known as "cutting and pouring").